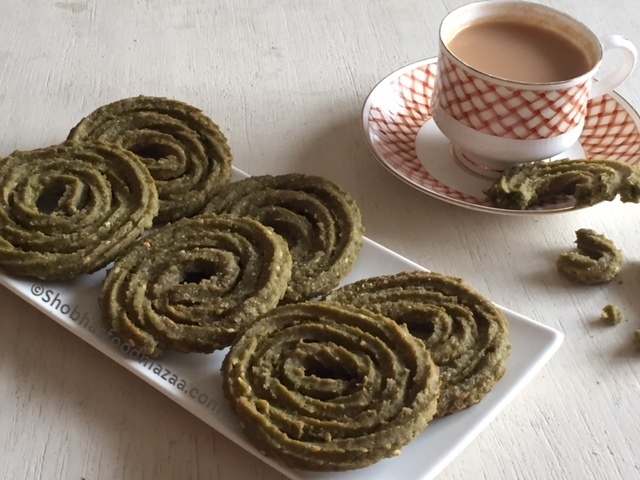 Chakli is one of the favorite tea time snack . Adding Palak purée gives it a lovely flavour and colour along with the nutrition. Wash the greens, cut them and boil adding little salt, pinch of baking powder to retain the green colour. Blend the purée and let it cool. In a large platter take the three flours, sesame seeds, little salt and 2 tbsps oil. Mix them. Knead this adding the purée little by little. Make the dough and set it aside. 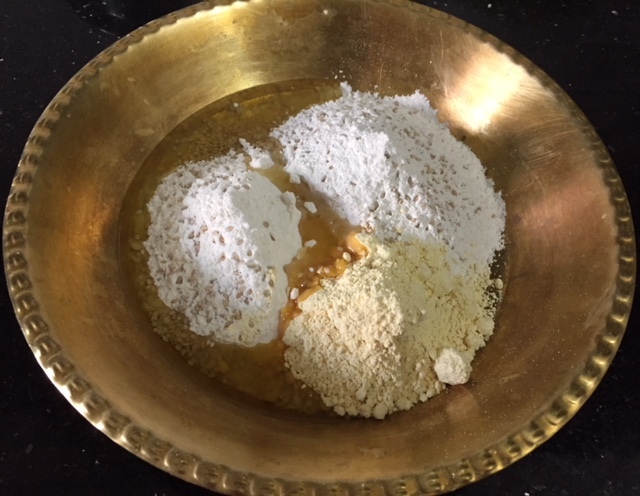 Grease the chakli mould and put the dough into it. Make chaklis and keep them on on a greased surface. Heat the oil in a pan and fry them on medium and low flame turning the sides until crisp. Remove them on an absorbent paper. Allow them to cool before putting them in an air tight container. Enjoy them with your tea. 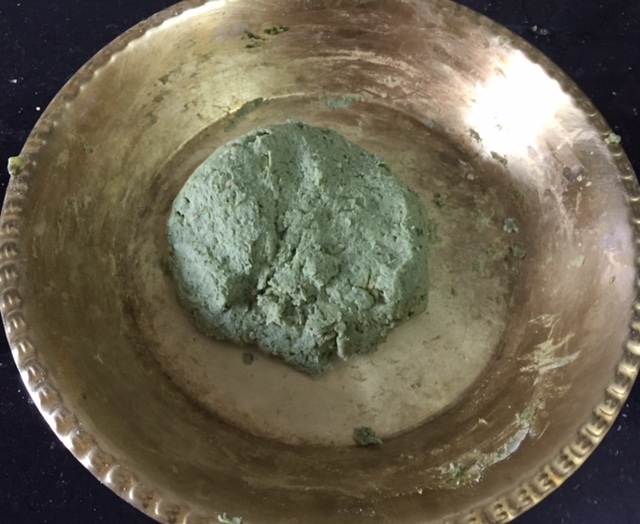 One of the favorite snacks of my children,adding palak has made it healthier and given it a beautiful color. Thanks Ruxana.. this is the way we can make kids enjoy the healthy greens. Thanks you Amrita.. mint adds a lovely flavour. flavorful nice murukku, i also prepared with palak. Congratulations for winning... definitely an innovative way to use spinach. Thanks a lot Mayuri . Congrats ! This sounds flavourful and super healthy.... Brilliant way of using spinach in Murukku! 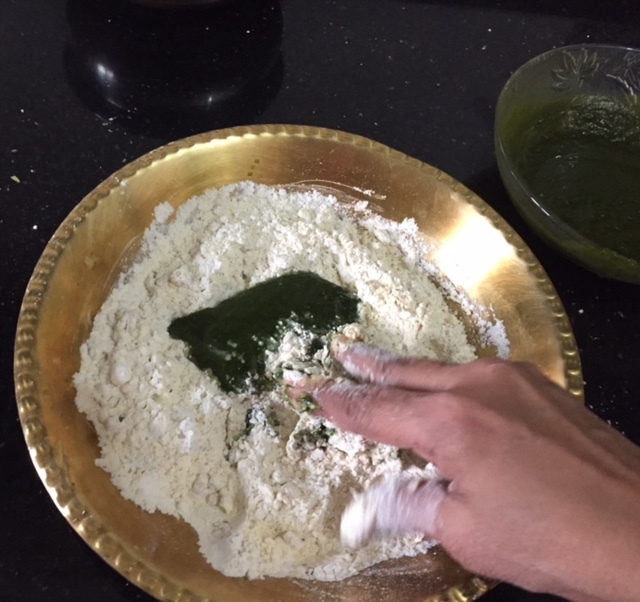 Tried this palak chakli for last diwali and loved it to the core. 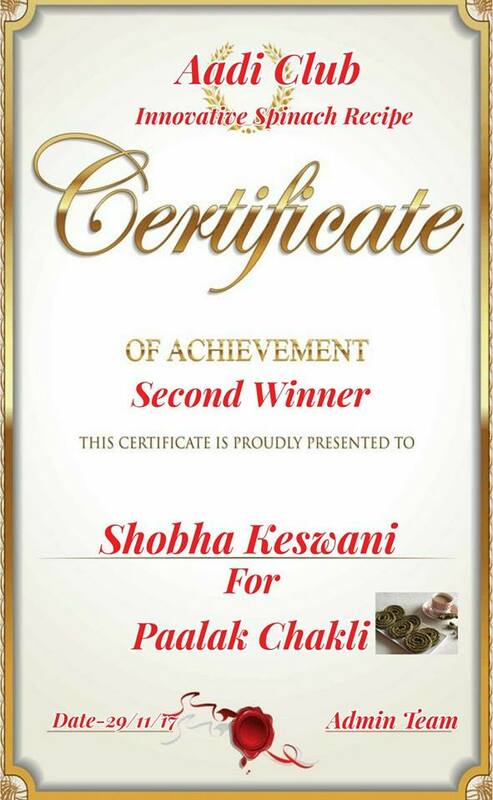 Congrats Shobha on the win. Keep rocking. Thanks for your best wishes and liking the chaklis.. Thanks for the compliment Drashti.. This is my daughter's favourite but she wants hard and crispy ones whenever I make, it becomes only crispy. Mint is an additional bonus taste . Thanks for your best wishes Nivedita..
One good way to feed spinach to kids.. Good one..
What a tasty way to get everyone to eat their greens! Love chaklis and yours look so tempting! Well deserved win; congratulations! Thanks for the wishes and liking the chaklis. 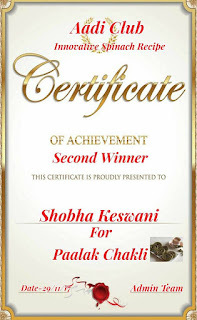 Congratulations on your win Shobha. These spinach murukku look so crispy and delicious. Perfect tea time snack. Thanks Pavani.. yes I love munching them with tea also..
Congrats Shobhaji! Chakli is an eternal fav snack of mine. How I wish I could have these with a cup of coffee right now. I dont make these snacks often at home now but hopefully this Diwali, this would be a must try at my end. I love the addition of palak in them, must have given out a great flavour as well. Palak Chaklis are very healthy deep fried snack.. Perfect for kids snack box.. Yes dear.. kids love them a lot. I haven't even tried murukku ever and now I am seeing this sinful palak murrkku. I guess I should now try this super crispy and tasty murrkku at least once. Palak chakli looks yummy. It makes a good snack with tea. 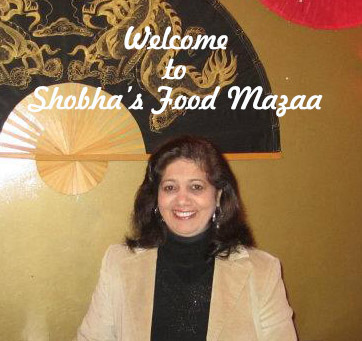 Congrats on the win Shobha. These chakli look so delicious, I like the green colour that the spinach has given these snacks. Thanks Nayna.. good one with natural colour for Holi. Congratulations! 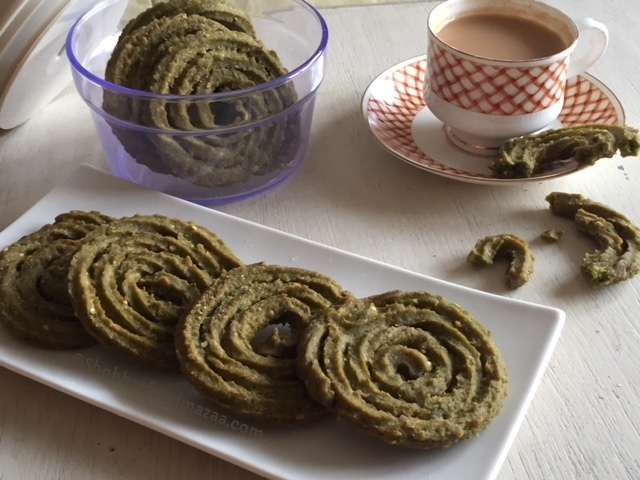 We love spinach or palak but never tried making chakli using it..sounds interesting. 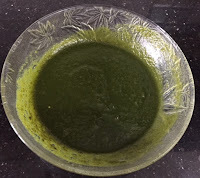 what a delicious recipe using palak. very well explained as well. I liked such mixing vegetable recipes. You got them nicely. I too add purees in shakarpara, chakli and mathris. Yes, I think that is a good way to make kids eat everything. Love this murukku. Such flavourful and tempting .. Spinach is an excellent addition and it gives a nice flavour as well as a beautiful colour. love chakkuli. I like the addition of the greens, bookmarking the recipe to try. They turned out nice Seema.. must make them. Congrats! This is delicious and yummy.